DC Bar and Grill Scores a Birdie with their value-priced lunch. Okay, the menu is limited with only nine choices — 10 if you count the special of the day. That’s okay because each item is made fresh in their kitchen. They even make the tartar sauce from scratch. I can’t remember the last time I had homemade tartar sauce, besides my own house. 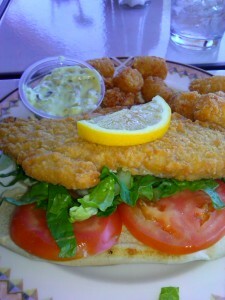 You’ve probably have guessed I had the fried fish sandwich. 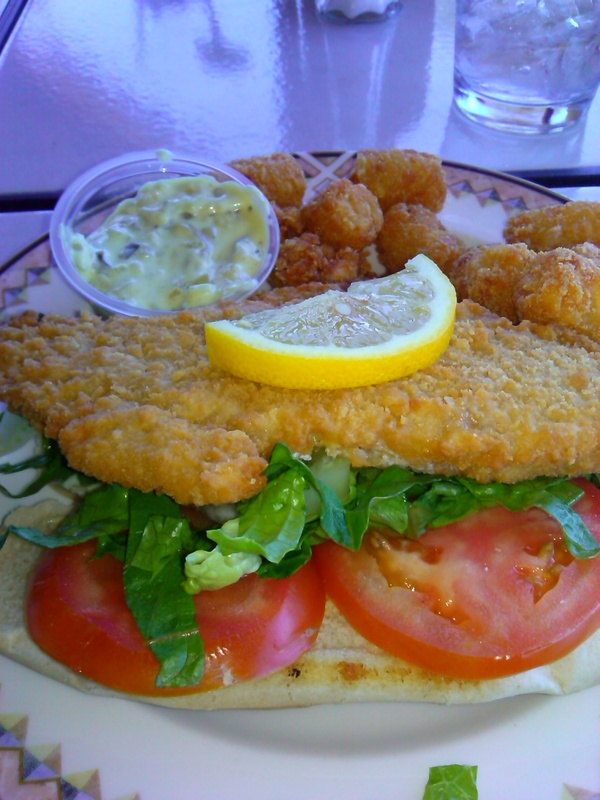 Ocean perch dipped in a light batter and served with lettuce and tomatoes on a bun. The fish was not the slightest bit overcooked and served piping hot. Did I mention the homemade tartar sauce? 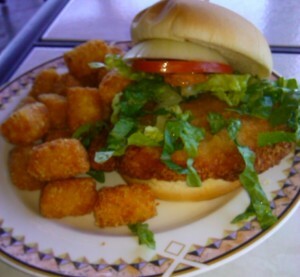 You’ve heard talk about the pork cutlet sandwich. Let me tell you the crispy exterior owes its crunch to panko bread crumbs. The pork cutlet is marinated in beer before being fried. The flavor of the beer adds oomph — that’s a technical chef term — to the pork but doesn’t overpower it. I was a little hesitant to bite into the sandwich, as pork cutlet is often about as toothsome as shoe leather. I shouldn’t have worried. Chef Tim Sciutto keeps the cutlet moist and tender, but not mushy — that’s another technical chef term. Tater tots, sweet potato tots and onion rings are extra. Our wait staff, Jessie, was a sweetheart. She was attentive but not hovering. 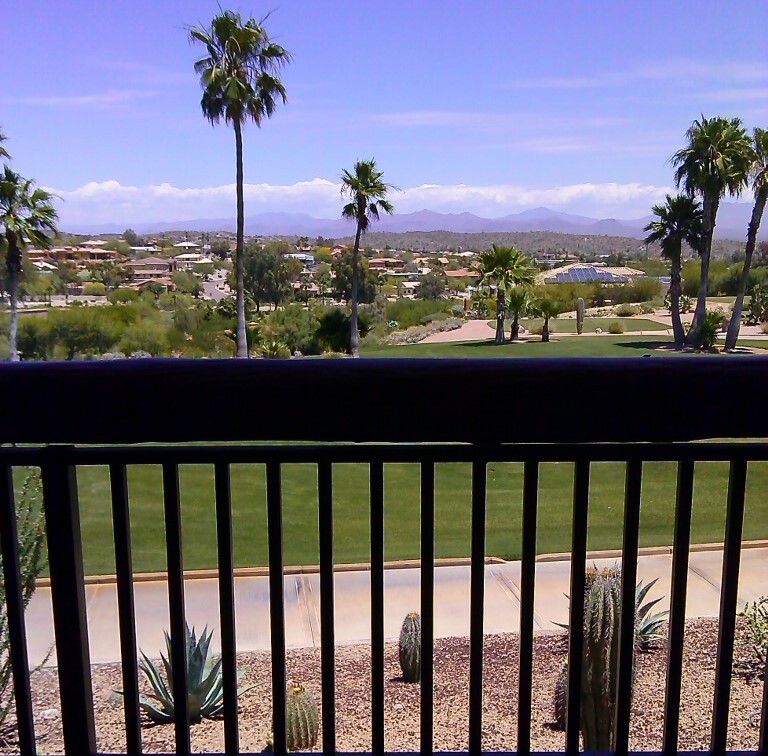 We chose to sit on the patio — so it was a little hot — the views made it well worth it. The patio is shaded and has fans. Jessie made sure our water glasses were always full. A small suggestion I have would be to add a bit of freshness to the plate with some baby carrots or sliced cucumbers but that’s just me. Look at it this way, for about the same cost as a meal at a fast-food joint you can have a good restaurant-quality lunch. Based on the quality and the price of this summer lunch menu, I can’t wait until they reopen the dining room for dinner in the fall. 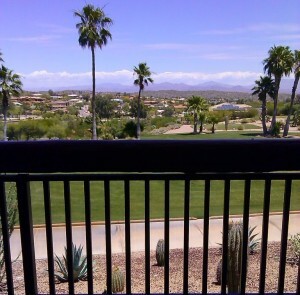 Oh, and I plan on coming back during the summer. The huevos ranchero have my name on them.